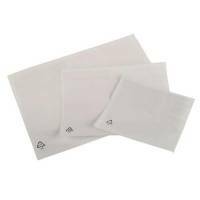 Doc Enc Wallets PrintedA5 225x165 Pk1000 Pack of 1 Self adhesive pocket for use on boxes and pallets to carry accompanying documents. Ideal for holding invoices documents and delivery notes. Wallets are temperature resistant and highly adhesive. A5 Pack 1000. 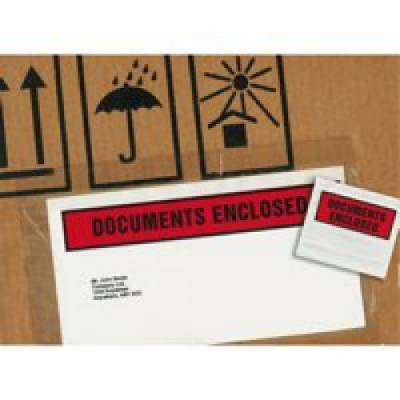 Masterline Self Adhesive Document Enclosed Envelope A7/C7 113x100mm Pack 1000 Pack of 1 Easy to use self adhesive pocket to hold delivery documents. 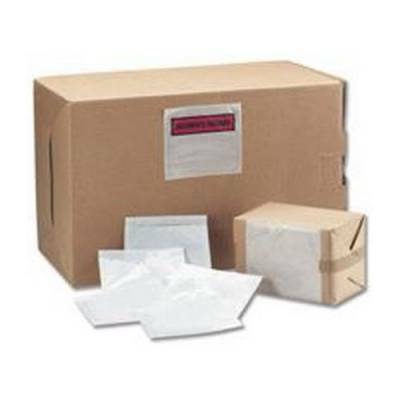 Easy to use- ensures accompanying documents are not overlooked- standard sizes (din C7 to C4)- plain or printed- fast and secure application- usable immediately after application- temperature. 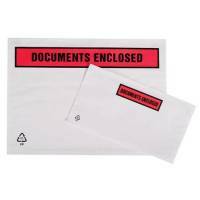 Masterline Self Adhesive Document Enclosed Printed Envelope A7/C7 113x100mm Pack 1000 Pack of 1 Easy to use self adhesive pocket to hold delivery documents. 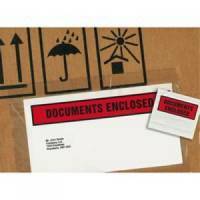 Easy to use- ensures accompanying documents are not overlooked- standard sizes (din C7 to C4)- plain or printed- fast and secure application- usable immediately after application. 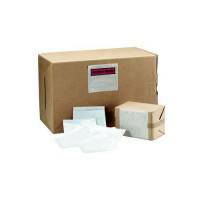 Masterline Self Adhesive Document Enclosed Envelope A6/C6 158x110mm Pack 1000 Pack of 1 Easy to use self adhesive pocket to hold delivery documents. Easy to use- ensures accompanying documents are not overlooked- standard sizes (din C7 to C4)- plain or printed- fast and secure application- usable immediately after application. Masterline Self Adhesive Document Enclosed Printed Envelope A5/C5 225x165mm Pack 1000 Pack of 1 Easy to use self adhesive pocket to hold delivery documents. - Easy to use- ensures accompanying documents are not overlooked- standard sizes (din C7 to C4)- plain or printed- fast and secure application- usable immediately after application- temperature. Self Adhesive Packing List Envelope Printed Doc Enclosed A6 165 x 122mm Pack 1000 Pack of 1 Easy to use self adhesive pocket to hold delivery documents. Easy to use- ensures accompanying documents are not overlooked- standard sizes (din C7 to C4)- plain or printed- fast and secure application- usable immediately after application.